Call it deadly or suicidal but Honda India is said to do that effective April 1. The Japanese car maker is expected to increase the price of Honda City sedan by Rs 10,000 from next month. Notably, Honda India has already hiked the price of this most popular car by Rs 10,500 after the budget taking recourse of the hike in the excise duty. Experts believe that the second price hike in less than a fortnight means that the car maker was not able to ascertain the best price after the budget and thus had to review it now. Expressing his concern over the impending price rise, Senior Vice President (Sales and Marketing) Jnaneswar Sen has said in a report that last increase in price was only a partial one and Honda India wanted to bear the rest on its own but it is now compelled to pass on the burden on the customers shoulders. 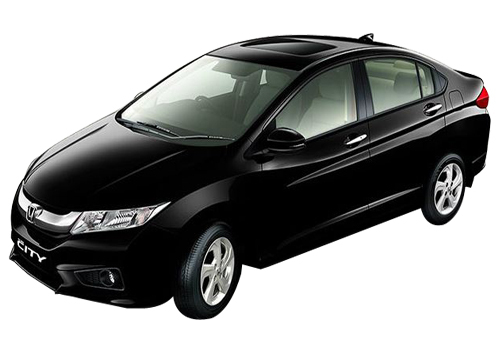 With the price increase, Honda City price will start at around Rs 7.2 lakh from April 1. Currently it starts at Rs 7.1 lakh. The high end model will witness the largest increase and will be priced much more than the current price of Rs 10.33 lakh. All prices mentioned are ex-showroom New Delhi. Notably, after the Union Budget declared an excise duty hike of 2 percent, almost all the car makers have increased the price of their cars in India. Honda Siel Cars India was no exception. Where Brio had a price hike of Rs 4,000 to Rs 10,000, the Honda Jazz hatchback was dearer by Rs 15,000. Similarly, Honda Civic price was raised by up to Rs 45,800 and Honda Accord price was raised by up to Rs 94,000. Experts believe that already Honda City is experiencing tough competition from its rivals such as Hyundai Verna, Ford Fiesta and Toyota Etios besides Maruti Swift Dzire and the proposed price hike will further withdraw customers from Honda showrooms. Besides the price hike, absence of diesel engine in Honda City mars the prospects of the car in the segment.